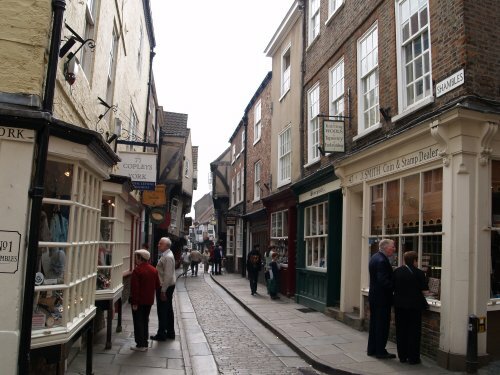 At the south end of Goodramgate you can go across and walk down the famous Shambles. 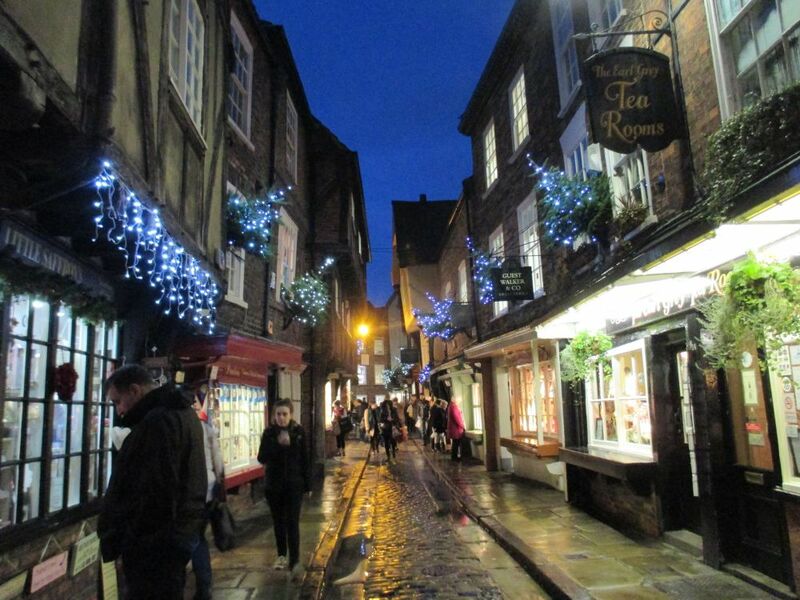 The Shambles is the most famous old street in York. 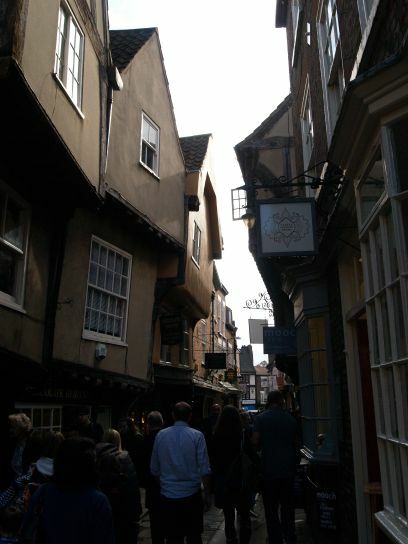 The narrow street of the Shambles where the houses from across the street almost touch each other. 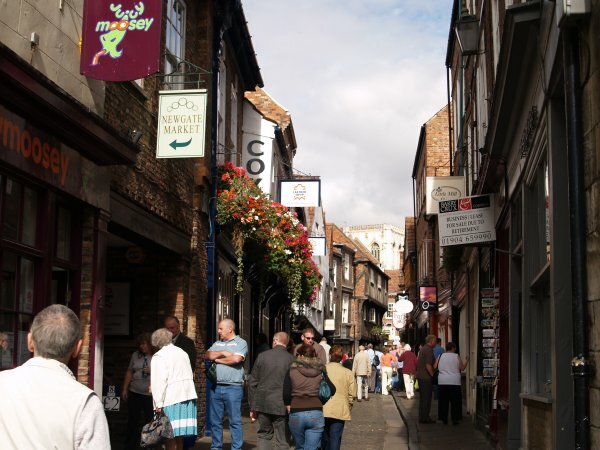 Looking south down the Shambles to Coppergate. 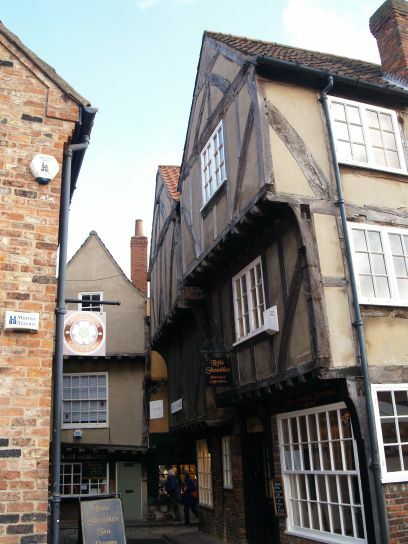 Looking north up the Shambles towards Goodramgate and the central tower of the Minster which can be seen in the distance. 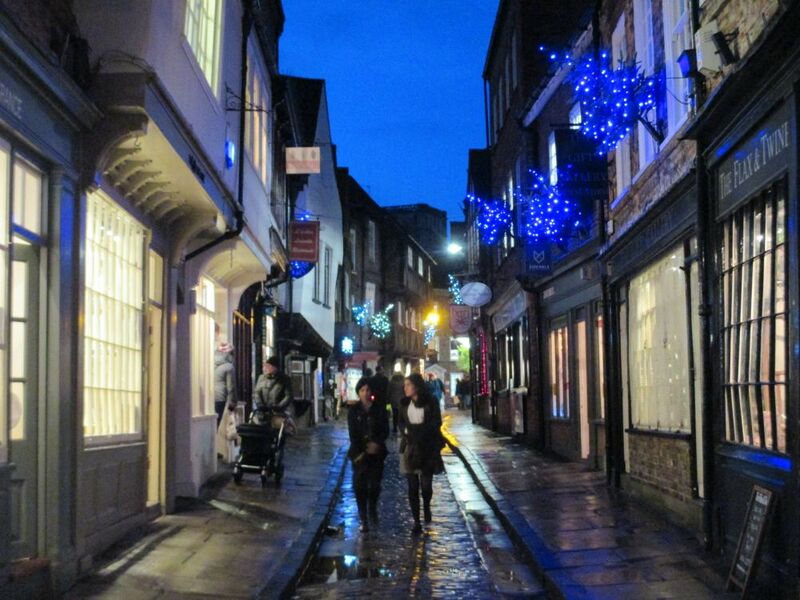 Looking down the from the top end of the street called the Shambles. 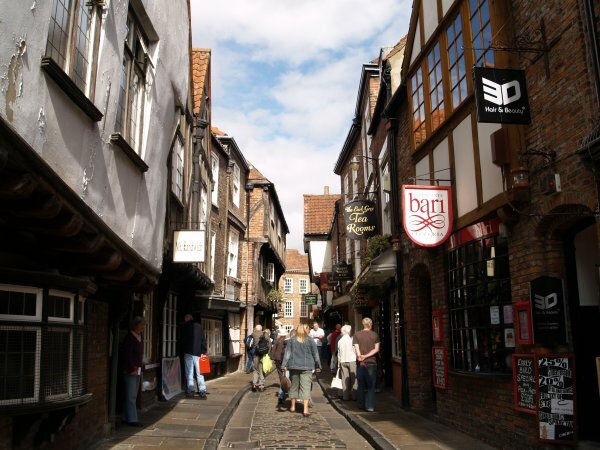 It is one of the best preserved medieval streets in Europe. 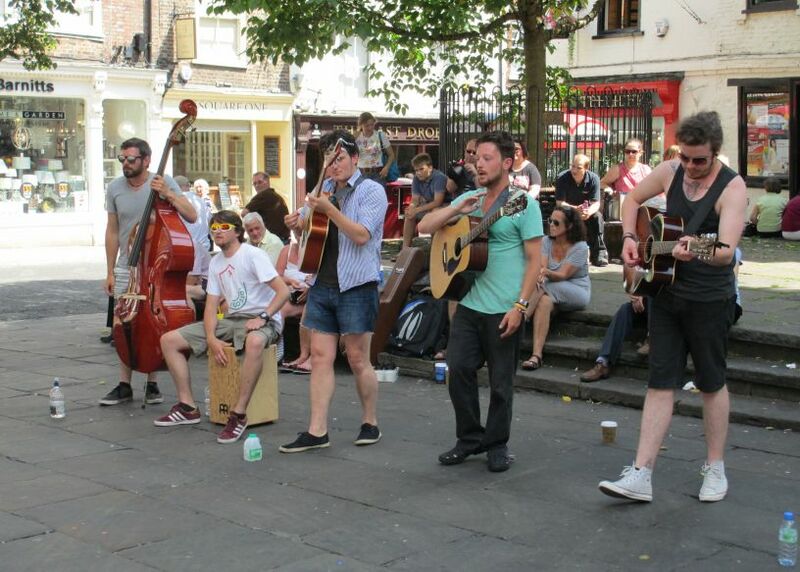 Formerly the Fleshammels, the street of butchers. The street runs east-west and with the overhanging buildings, the meat was in the cooler shade for most of the day! 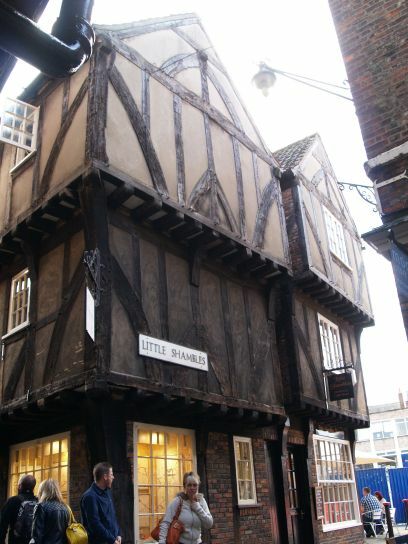 The short street called the LITTLE SHAMBLES, which leads from the Shambles into Newgate Market. St Crux Parish Hall which stands on the incredibly short street called Whip-Ma-Whop-Ma-Gate at the bottom end of the Shambles and this runs into Coppergate. 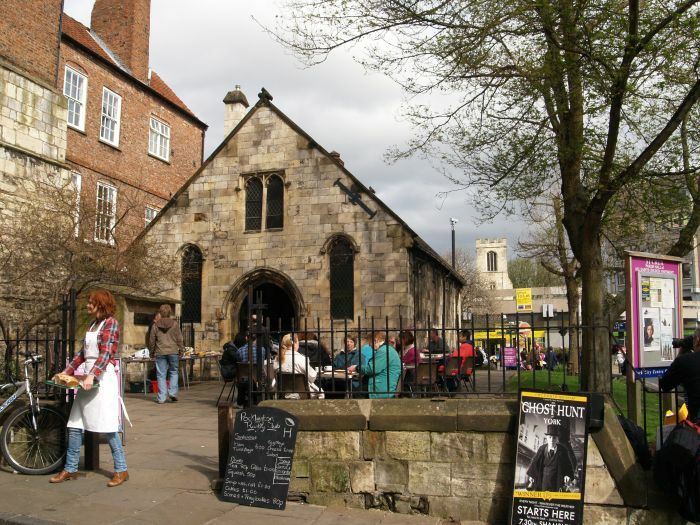 Its hard to believe now, but St Crux, Pavement, (St Crux literally means the Holy Cross), was once the largest medieval parish church in York after its rebuilding in 1424, and a brick tower was added in 1697. 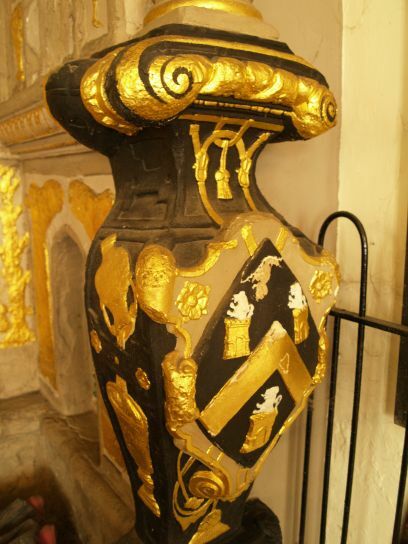 Unfortunately it had to be closed around 1880 after becoming unsafe, and attempts to raise sufficient funds to rebuild St Crux were not available. So, St Crux was demolished in 1887-1888. 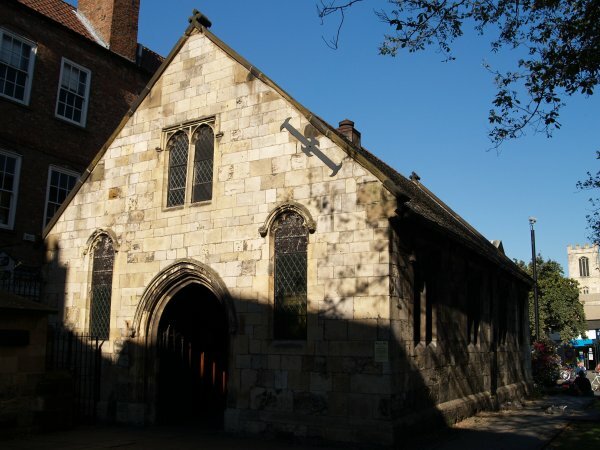 However, some of the church's stonework was used to build the St Crux Parish Hall at the bottom of the Shambles. 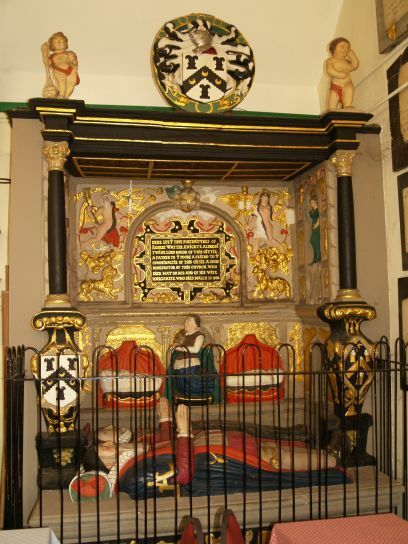 St Crux Hall contains a number of monuments from the old church, and other fittings are now in All Saints, Pavement. 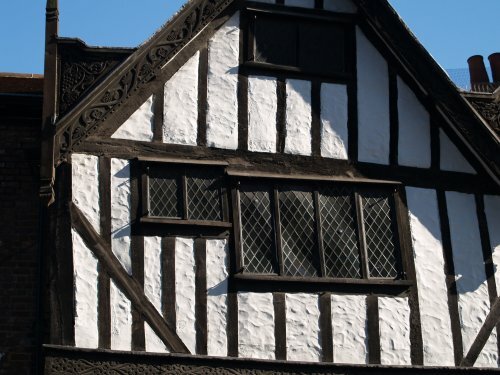 Part of the stone wall of the fifteenth-century north aisle is still to be seen, and forms part of the southern exterior wall of house number 23 at the bottom of the Shambles and of the south wall of the Snickelway which leads to Whip-Ma-Whop-Ma Gate. 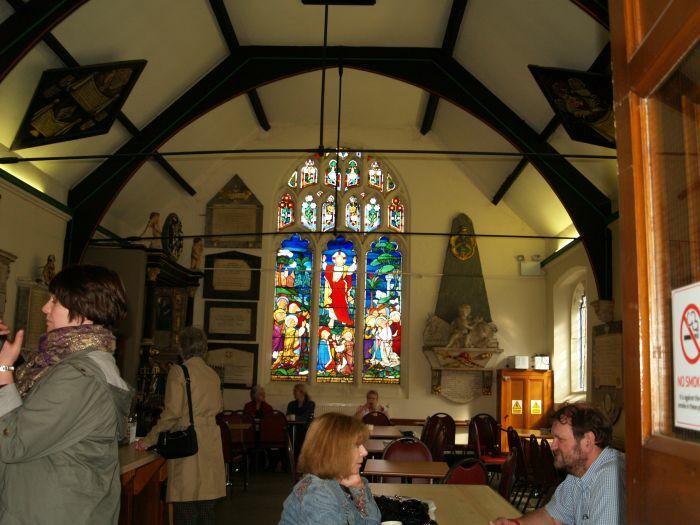 St Crux Parish Hall is currently used as a cafe. 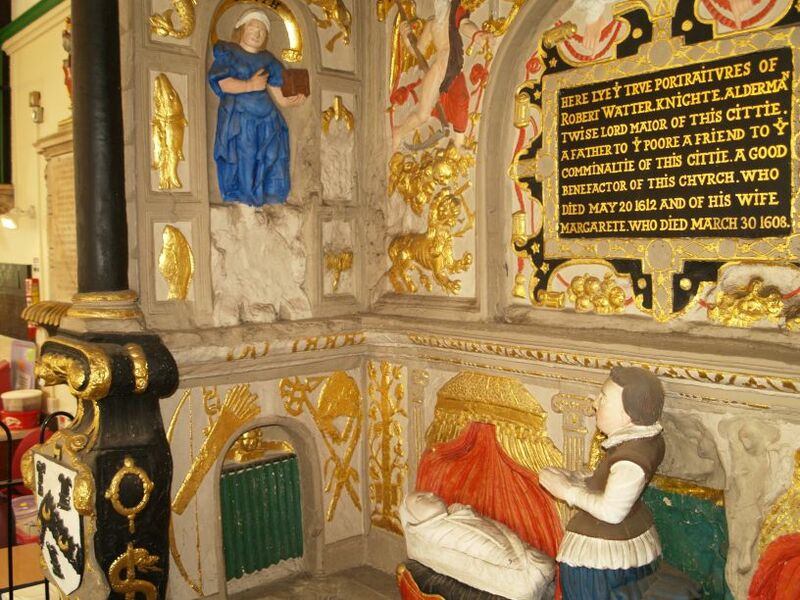 BUT, the most impressive surviving monument in St Crux, is the tomb of Robert Welles (Robert Watter ? 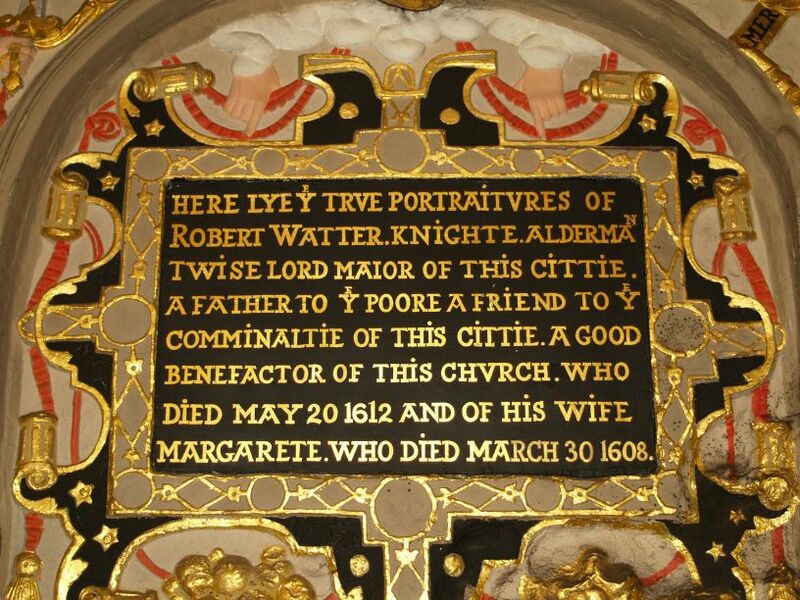 ), twice Mayor of York, who died in 1612. 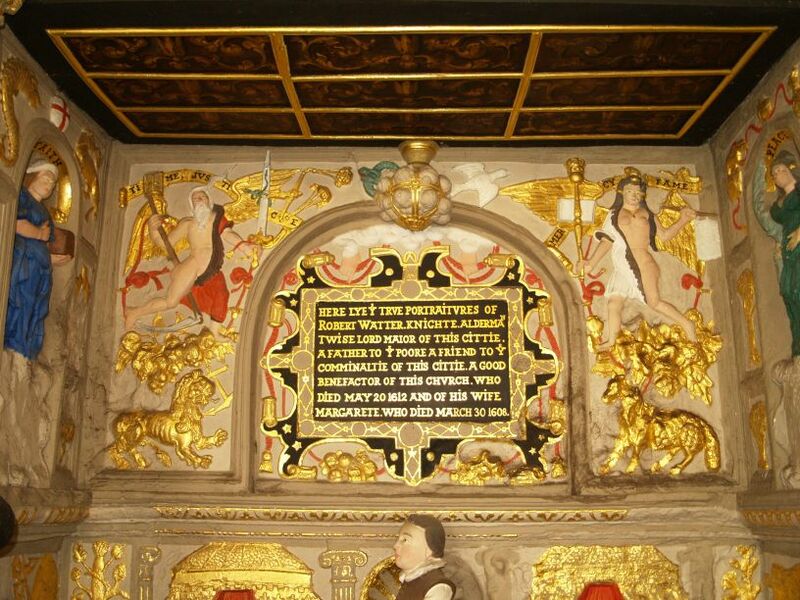 Its quite a large construction in typical elaborate late Elizabethan to early Jacobean style, very ostentatious! 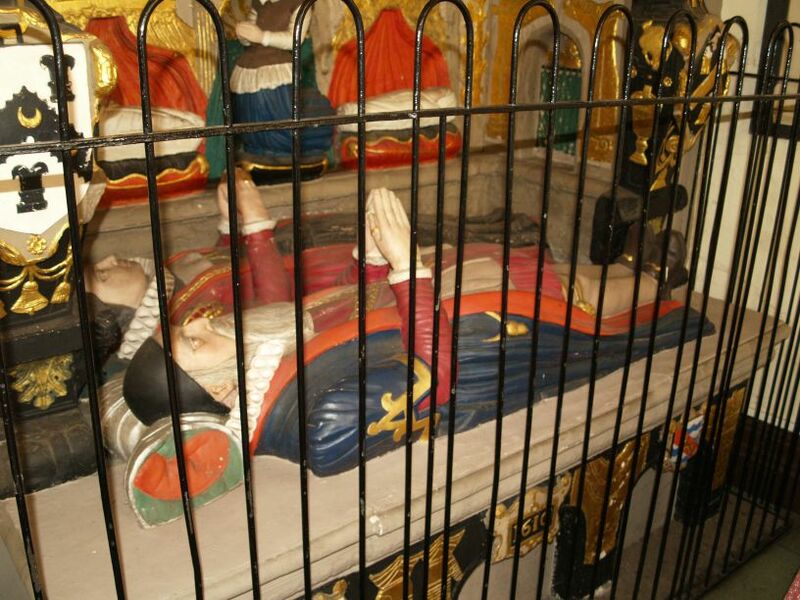 The two recumbent effigies of the knight and his wife Margaret (who died earlier in 1608). 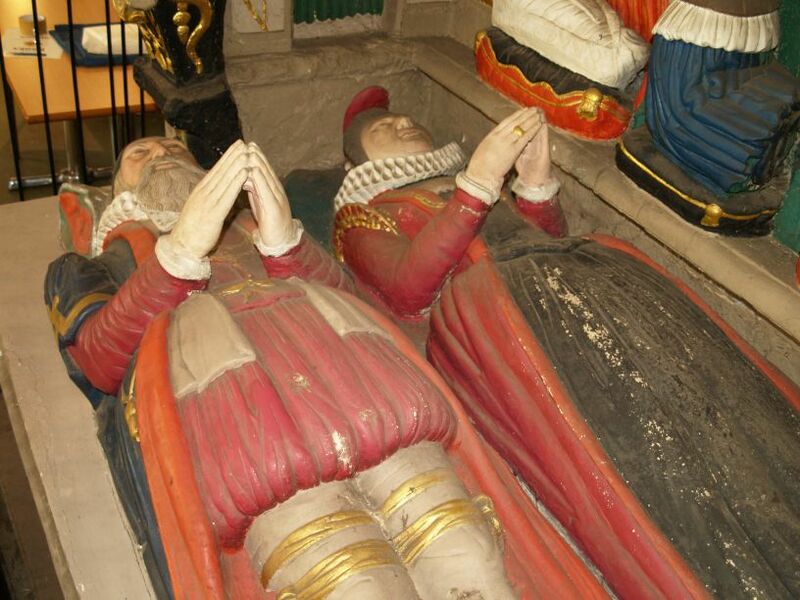 The two effigies at prayer! 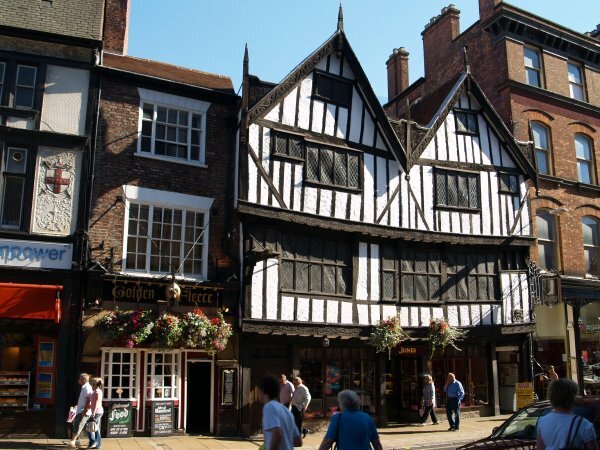 Across from the bottom end of the Shambles is the 'narrow' Golden Fleece pub on Coppergate and on the right is a splendid even older timber-framed building. 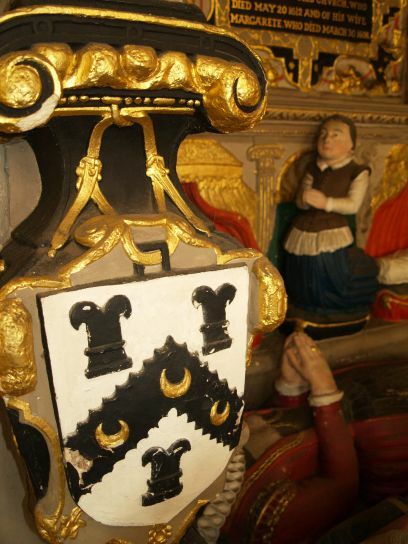 Details of the timber-framing and carvings on the eves.